Everyone is seeking to be different and individual. As this desire for personal attention grows, consumers are spending more time personalizing their gifts. According to a recent survey conducted with several local florists in Malaysia, consumers nowadays place a priority on choosing gifts that reflect the personality of the recipient. 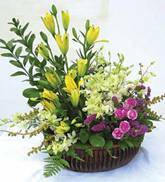 With varied sizes, shapes and colors flowers that are available in the market, floral arrangements are one of the easiest gifts to customise. When it comes to gift giving, carefully selecting the varieties and colors you send will result in thoughtful, customised gifts people appreciate and like to receive. The first step to consider is the preference of the person receiving the gift, such as: What colours does she like? Does she have any favorite flowers? What kind of message do you want to convey? Once you have an idea, consult your florist, who can help explain the assortment of possibilities available and help create just the right gift for the right occasion. Suitable for people who are casual, earthy and prefer the outdoors. 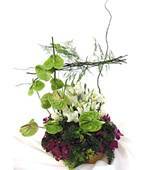 Flowering or green plants, wild flowers and woodsy accents suit this personality best. Suitable for people who are generous, spontaneous and extravagant. Bouquets of soft colors, light fragrances, accentuated with ribbons are perfect for the romantics. Suitable for individuals who seek personal betterment and are attracted to the unconventional - from new age to the arts. 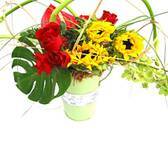 Exotic flowers and unusual combinations of shape, color and texture will match their creativity and artistic bent. Suitable for people who are trustworthy, family oriented and prefer classic styles. 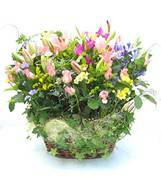 They appreciate lush arrangements with great variety of flowers. Suitable for individuals who are cutting-edge trendsetters and enjoy living in the moment. 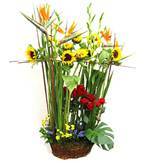 Vogue styles such as monochromatic bouquets or arrangements with a few, large vibrant flowers are favorites.